We act as credit brokers and we are not a lender. We will introduce you to a limited number of lenders who may be able to help finance your purchase. These lenders may or may not pay us for the introduction. †Includes £1500 Deposit Allowance Paid By Manufacturer. *Excess mileage charge of 6p per mile. If you exceed this annual mileage then excess mileage charges will be applied by the finance provider at the end of the agreement should you choose to return the vehicle. Finance subject to status. A guarantee may be required. Terms and conditions apply. Unless otherwise stated, metallic paint at extra cost. Library image for illustration purposes only. 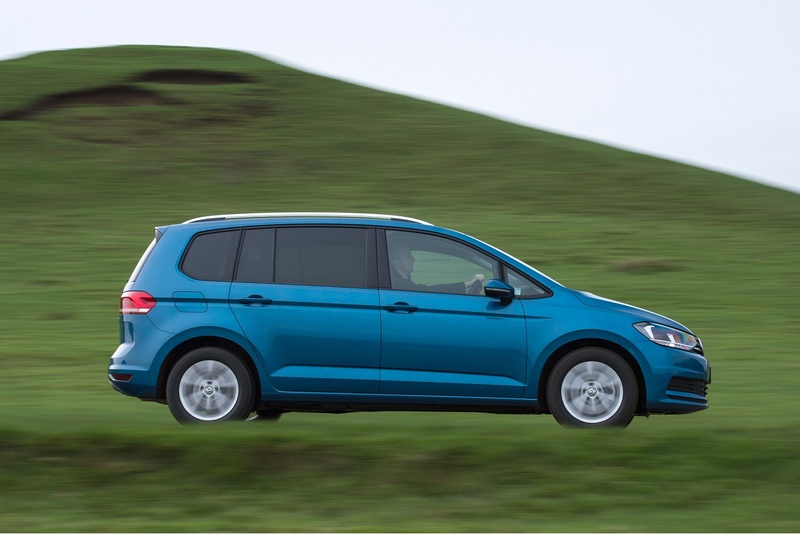 Volkswagen's improved third generation Touran is designed to compete with the best that the compact 7-seater MPV class can offer. Underpinnings from a Golf hatch bring with them highly efficient engines that complement neat design and general quality that can't be bettered in the Scenic and C-MAX sector. Volkswagen really should be good at MPVs. It has, after all, been making the things for well over sixty years. Today's volume Volkswagen people carrier is this one, the much-improved Touran. 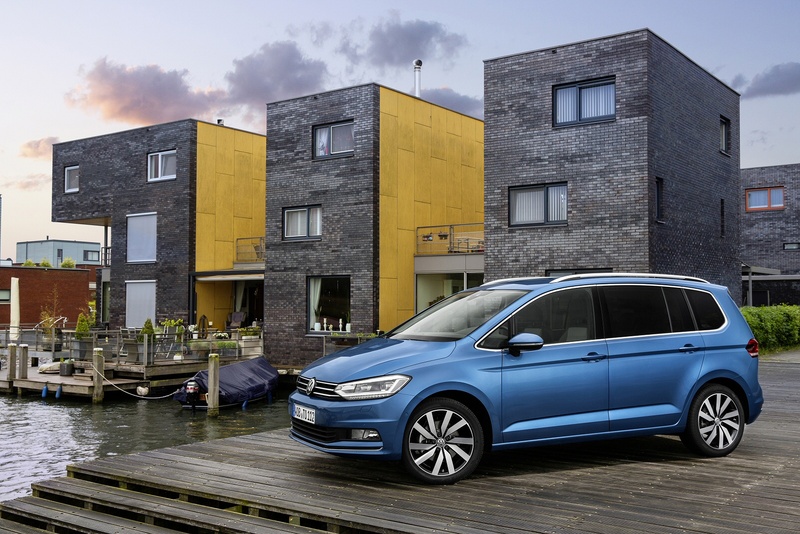 The Touran is the vehicle to which your Volkswagen dealer is most likely to direct you if you've a growing family and need an MPV to suit - though these days, the German brand does offer quite a choice of 7-seater options. 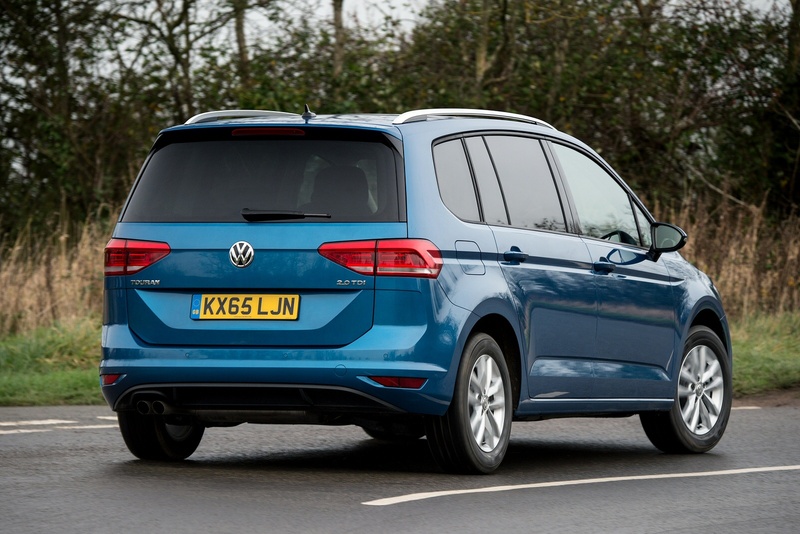 Buyers needing something more utilitarian have the Caddy Life MPV, while those in search of greater quality have the five-seat Golf SV. If you need something really big, there's the Sharan, a step down from the enormous Caravelle which really is designed for people who've qualified for their own private parking bay at the maternity ward. For most of us most of the time though, this Touran should be about right, positioned directly against rivals like Vauxhall's Zafira Tourer and Renault's Grand Scenic at the larger end of the compact-MPV sector. Launched in 2003 and updated in 2007 and 2010, it was re-fettled in terms of both engine and elegance in mid-2015 - and that's the version we're looking at here. As the demand for MPVs has grown, so has the demand that they drive more like 'normal' cars. 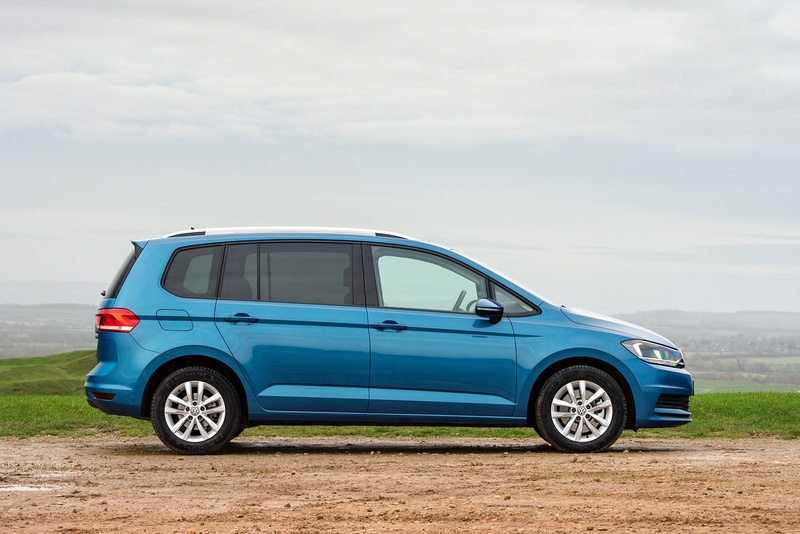 The Touran has always been relatively good dynamically but more will be expected of this model, which is longer, wider, lighter than its predecessors and comes equipped with a range of petrol and diesel engines that are more powerful. Buyers get a choice of five Euro6 engine variants - two petrol and three diesel. All are four-cylinder direct injection units with turbocharging. The 1.2-litre and 1.4-litre petrol TSI powerplants develop 110PS and 150PS respectively. The diesel engine range starts with a 1.6-litre 115PS unit, plus there's a 2.0-litre powerplant with 150PS and 190PS options. The fastest diesel comes only with a DSG auto gearbox and this auto transmission is optional with other engines beyond the entry-level 1.2-litre petrol unit. 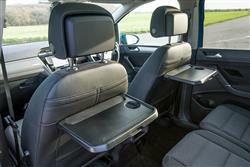 Volkswagen hopes these refined units will make this Touran one of the most agile MPVs on the market. In the driver's seat, the steering column has been pitched at a slightly flatter angle to the dash and the steering wheel is more upright for a sportier feel. The dash panel has also been redesigned with a more driver-oriented layout. 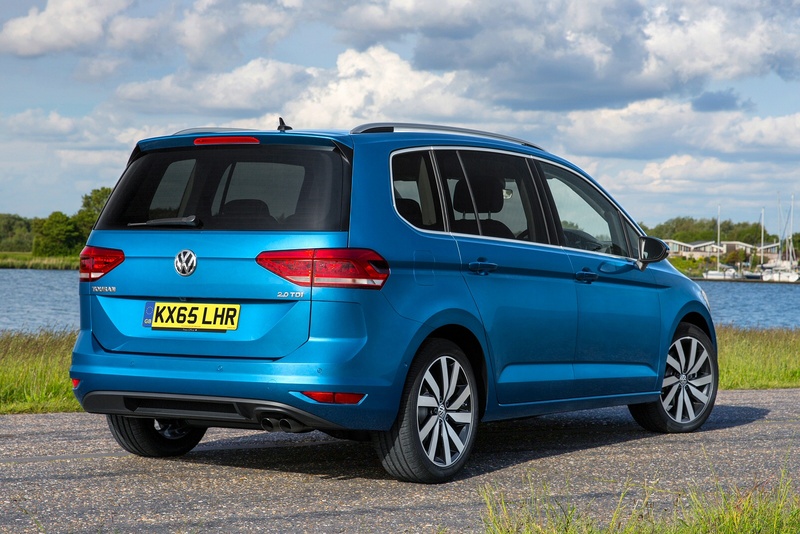 From the outside, this model is still unmistakeably a Touran but, due to its longer wheelbase, it now looks sleeker and sharper. 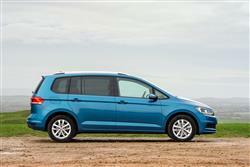 This Touran is 130mm longer than the model it replaces. Much of this is in the wheelbase, which, at 2,791mm, is 113mm longer than the previous model - further increasing usable interior space. 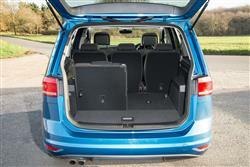 At the front, the slim lower breather opening accentuates this MPV's width and low centre of gravity. Below the side windows is a contoured shoulder line starting above the front wheel arch which also emphasises its length. Long side windows add to what Volkswagen hopes is a light, sporty appearance. This MK3 model Touran is the first MPV the brand has based upon its Modular Transverse Matrix chassis, which allows a larger wheelbase and extra room inside. You notice this in the 743-litre luggage bay - which can be increased to 1,980-litres with the seats folded: it's the biggest in its class, making this an ideal family MPV. 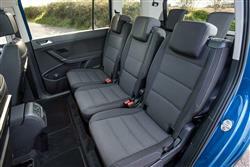 All models are equipped with a seven-seat layout that features a new fold-flat system. 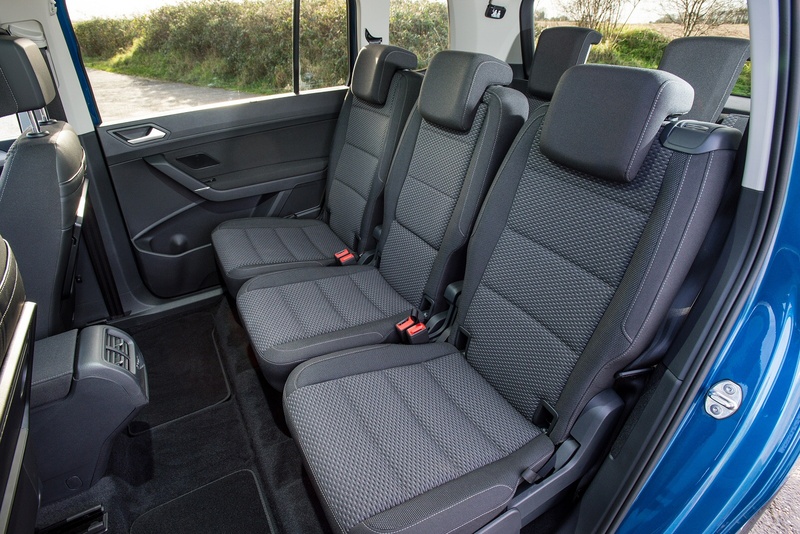 The seats in the second and third rows, plus the front passenger seat backrest (from SE trim up) can be folded in a matter of seconds, creating a level continuous floor for easy loading. With the second and third row seats folded, the Touran has a cargo capacity of 1,857-litres and has the largest luggage compartment in its class. 47 storage compartments also ensure that life's essentials gadgets can be carried safety and securely. 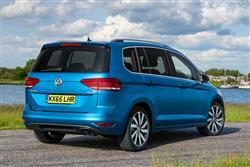 Price-wise, the Touran sits in the usual £22,000 to £30,000 bracket common to compact seven-seat MPVs of this kind. 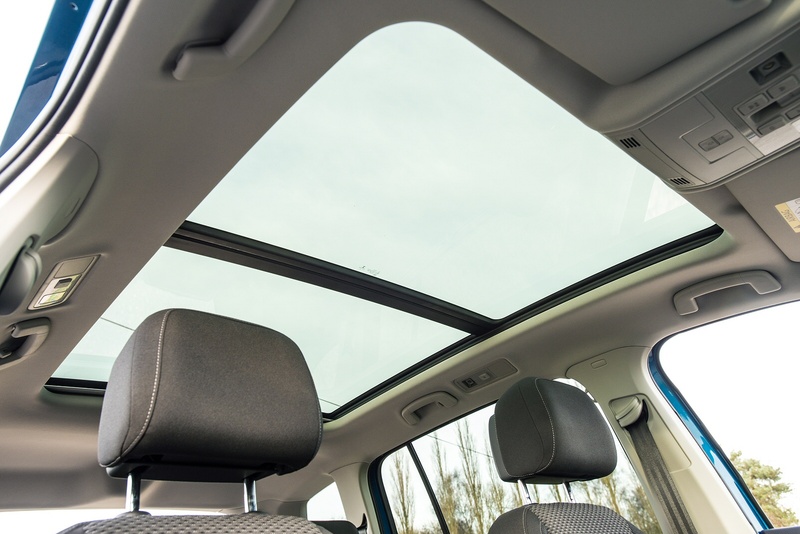 There are four main trim levels - 'S', 'SE', 'SE Family' and 'SEL' - and all models feature air conditioning, fold-flat seating, a touchscreen radio system, an easy-open and roll-up luggage compartment cover and an electric parking brake. Safety stuff runs to ISOFIX child seat fixtures on all rear seats, seatbelt detection in the second and third rows as well as the front, plus Automatic Post-Collision Braking and up to nine airbags. Ingenious touches include a large removable container in the 'Jumbo Box' under the front centre armrest and a luggage compartment light which can easily be snapped out for use as a torch. Further up the range, buyers will enjoy niceties like larger 17-inch alloy wheels, chrome-framed windows, ambient lighting and a three-zone automatic air-conditioning system. For those after something sportier looking still, there are R Line exterior and interior packages available plus optional LED headlights. 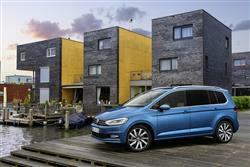 Volkswagen reckons that the improved engine range is up to 19% more economical than before. The most fuel-efficient diesel, the 115PS 1.6 TDI with 7-speed DSG auto transmission, returns 64.2mpg on the combined cycle and 116g/km of CO2. The most economical petrol-driven model is the 1.4 TSI, which delivers 150PS while achieving a combined cycle consumption figure of 52.3mpg when combined with the optional seven-speed dual clutch gearbox. All models feature Stop/Start and battery regeneration systems as standard. And, despite being longer, this MK3 model Touran is 62kg lighter, which also aids fuel economy, as does the new model's improved aerodynamics. If you�re looking for a new Volkswagen Touran 1.0 TSI S 5dr Petrol Estate for sale, you�ve come to the right place. 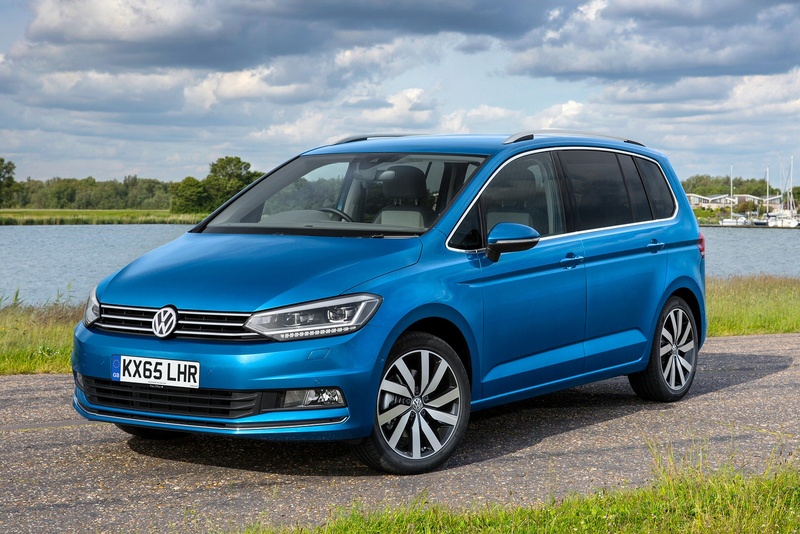 At Bristol Street Motors we don�t just have the best Volkswagen Touran 1.0 TSI S 5dr Petrol Estate deals, we also offer friendly advice and help with all your enquiries to ensure your buying experience is a happy experience.